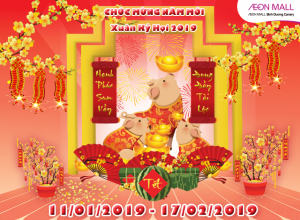 A Lunar New Year is coming, everyone is all ready to welcome New Year 2019. 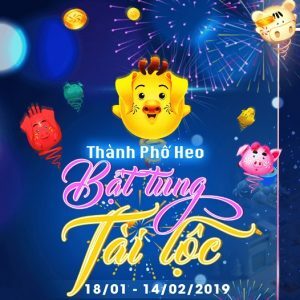 Tet’s atmosphere has also covered in AEON MALL Binh Tan with many special programs for customers from January 18th to February 10th 2019. Having fun, taking pictures and going shopping together will help the whole family to have more precious moments in the warm spring atmosphere. 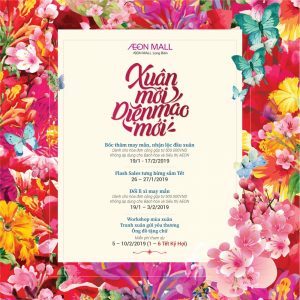 You can enjoy all these interesting activities at AEON MALL Binh Duong Canary. 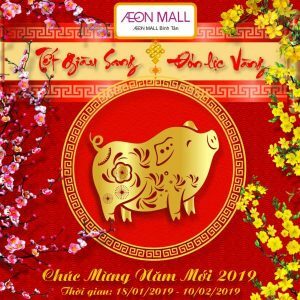 This 2019 Lunar New Year, AEON MALL Tan Phu Celadon has special gifts just for you! Lunar New Year is the best time in the year for family members to clean up, buy new clothes and utensils for a whole new year, isn’t it? 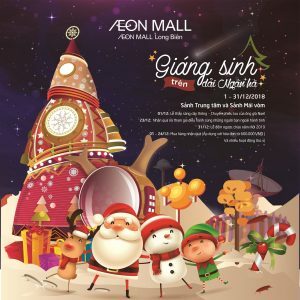 Let’s hurry to AEON Mall Tan Phu Celadon with lots of promotion for Tet Holiday! 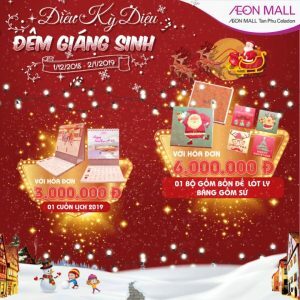 AEONMALL Vietnam in collaboration with AEON 1% Club Foundation has awarded the AEON Scholarship Granting Ceremony in the morning of 12th December at AEON MALL Long Bien, Hanoi. 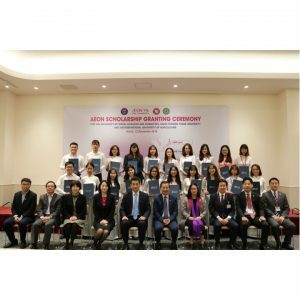 The AEON Scholarships is designed to support and encourage students in Asian countries to realize, follow and fulfill their dreams. 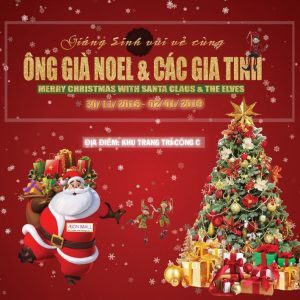 This Christmas and New Year season, AEON MALL Binh Duong Canary will be very attractive with 2 hot singers: Khoi My and Noo Phuoc Thinh. And there’re also many interesting activities waiting for our beloved customers. 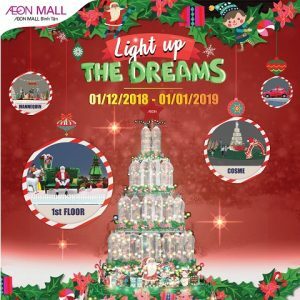 In the festival atmosphere at the end of the year, AEON MALL Tan Phu Celadon will bring you the romantic holiday season of Europe this Christmas.